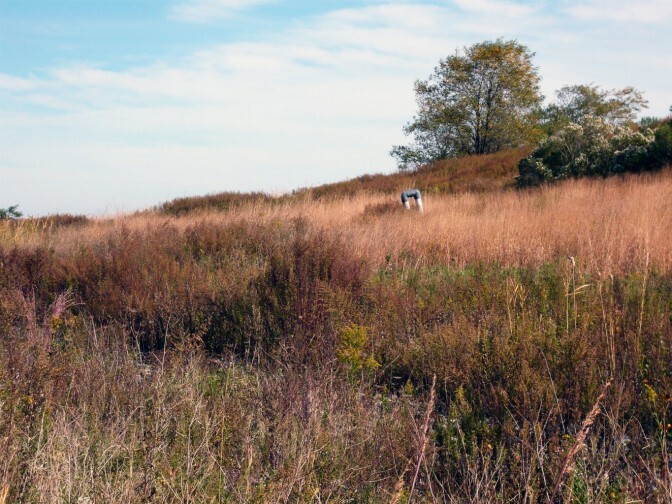 This summer, NYC Parks staff launched a biological filtering dock, or “living” dock, at Freshkills Park. This dock will help clean the water within the site’s network of tidal creeks using native plants and shellfish. The dock will also increase biodiversity, which makes the park’s tidal wetland ecosystem more resilient in the face of climate change and storm events. 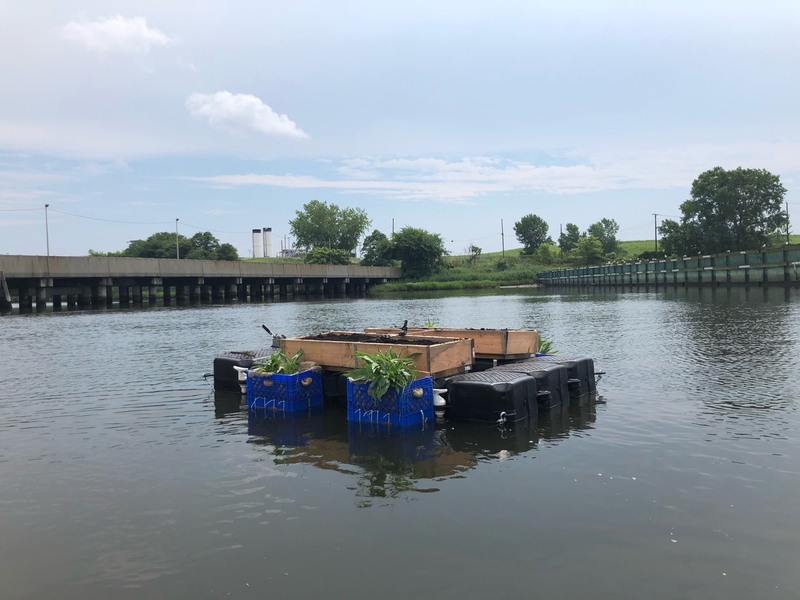 The living dock is made out of a 5 ft. by 9 ft. recycled Ski-Dock, with specially built planting areas that hang from the sides and in the middle to provide habitat for various plant species. The three planting areas on the living dock provide three different habitats: submerged, wetland, and upland. Each of the three planting areas have plant species native to the habitat, including cordgrass, lavender thrift, bulrushes, evening primrose, joe-pye weed, and blue flag iris. The living dock has rope hanging from the underside of the dock to provide habitat for fish, and a substrate for spat, the larvae of shellfish such as mussels and oysters, to attach themselves. The fibers of the rope provide texture for the mussel spat, smaller than a pin head, to latch themselves to. The spat will continue to grow there, forming something resembling a hanging reef below the dock. After the mussels and oysters establish themselves another habitat is created, and aquatic plants, invertebrates, and fishes will begin to inhabit the area beneath the dock. The shellfish and plants both have properties that act to filter out contaminants from the waterways, and either retain these chemicals or convert them to less harmful compounds. In addition to purifying the waterways, the living dock will also serve as an educational component in kayaking tours. The dock is now placed in Main Creek, along the route of kayaking tours, where participants can learn about the importance of native wetland areas and the ecological functions they provide. This project was made possible with generous support from Patagonia. To receive updated on the living dock, join the newsletter and follow @freshkillspark on Facebook, Twitter, and Instagram.